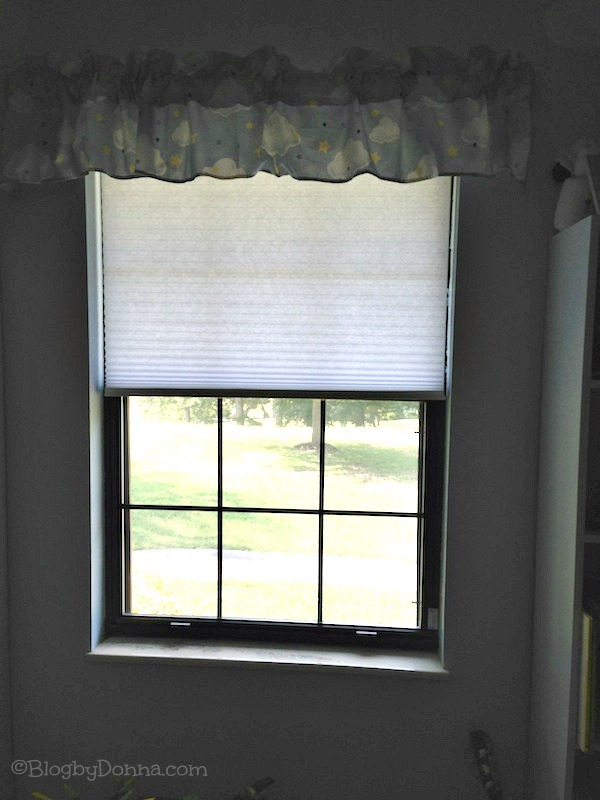 This easy, gorgeous window blinds installation post has been brought to you by Blinds.com…. My son loves video games, especially Mario. He is ten, but he’s old-school. We can thank my mom, his nanny, for that… she’s a Mario loving grandmother. So when we went to re-decorate his playroom, he wanted a Mario theme. It was a fun theme to do, but I neglected getting blinds for his window. Even though the blinds on his window were pitiful. Really pitiful. My son likes to look out his window, so he would try to peek through the slats and finally broke a part of it off. I just didn’t know what kind I wanted. I knew I wanted something that would provide privacy, allow light in the room, easy for my son to work, and safe for his young nephews and niece to be around. 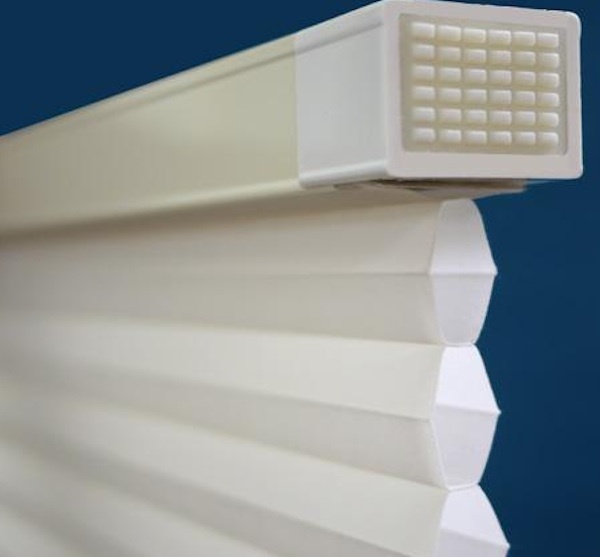 I’m in love with the Cordless Honeycomb Shades from blinds.com. These Instafit blinds are quick, easy, and beautiful.. .and that’s a fact. I am so NOT handy. I was able to install the Instafit blinds without using any tools. Seriously. No screwdriver. No hammer. No tools. Watch this video and see for yourself…. Bam. Just like that they’re installed. If you don’t have someone to help you install window coverings, or like me, you just like the idea of being able to do it yourself, Instafit blinds are easy for anyone to install. If I can do it, anyone can do it. As I mentioned earlier, I love that they are cordless and safe to have around children. I definitely would recommend them for a nursery. My son loves that he can easily raise them to look out his window and pull them back down. And I love it that he can’t break them (he has broken more than one set of blinds). Hallelujah. His playroom is brighter yet adds the benefit of privacy, something important to us. All of this plus they’re beautiful. If you’d like to get the Instafit Honeycomb cellular shades to dress up your windows go to blinds.com to check out their wide selection of blinds. wow! i’m pretty handy around the house but I need to check this out. I hate to install blinds manually but this looks so easy! I need new blinds for my bedroom. The room darkening ones would be perfect. Thanks so much for sharing. We have the honeycomb. I think they look so much nicer than regular blinds. These look great and my cats couldnt climb them. So win win for me. I really like the way these look! We have regular old plastic mini blinds and I hate them, I’m definitely going to check this style out as they are more attractive! That’s what was in his playroom, and he just had them a mess. The honeycomb blinds look so nice. Ohhh how I needed these when I was single LOL I nearly hung myself putting up blinds at my old condo LOL True story. hmm these are nicer than the ones that open! with these i could leave my dolls laying out all i wanted! must have them!! 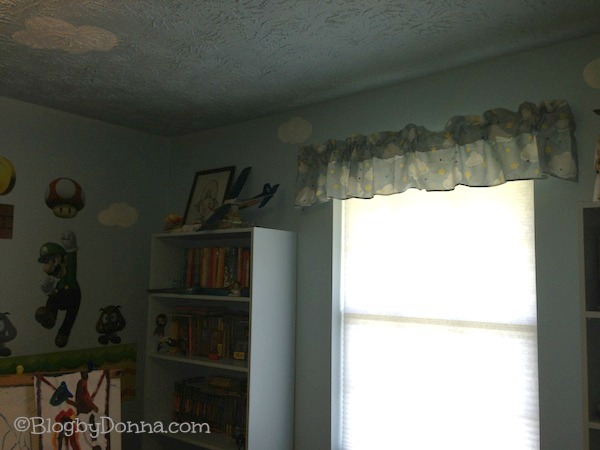 We went with honeycomb blinds in the kids rooms for safety! Now I just love the look of them and need to replace some other blinds in our home with them. Love this style of blinds. I would love to have instalation be this simple in my next house. Totally pinning this. These are really pretty and seem to do a great job on darkening. Thanks! Oh I need these. I also am not so handy and I need knew blinds for one of the kid’s rooms. That’s how I like to roll – quick, easy, and no tools! I bet they probably don’t get as dusty as my regular blinds, too. Oh I am all for easy fit – something I can do myself. I hate relying (waiting!) on hubby to do chores around the house! I LOVE these! I needed these about 7 years ago when I redid all my blinds! Thanks! The lady in the video, Katie?, I got to meet her this weekend! Anyway, I love these Instafit blinds! SUCH an awesome concept! Nice! We need blinds in several rooms of our house and I need to be able to install them myself. Sweet! I need some of these for my kitchen! We took down the blinds to paint and never put any back up. Problem with that is my kitchen faces the street. I need some privacy! I love blinds like that. So pretty. These are awesome! We have the normal kind, and they’ve been broken when the kids try to look through them. These are pretty, and look functional, too! Those are some nice blinds…and I love the theme of the room! These look awesome and I love that they have a room darkening option too. I like how easy these are to install and they are really nice looking too. Those are really pretty and I love the color! I’ve only had that kind of blind once and I really loved it. I need to get them again. They look so much nicer than the vinyl ones I have now. 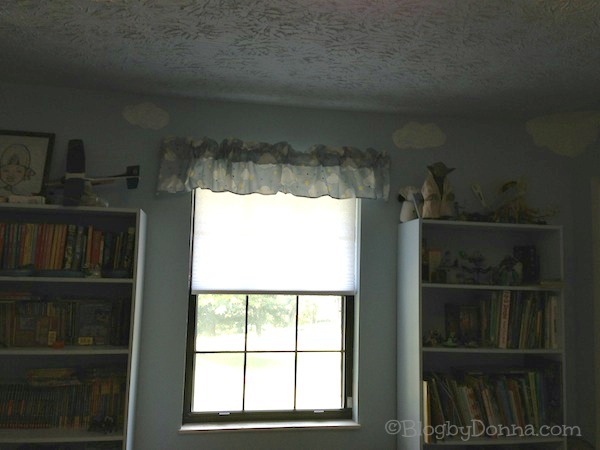 I need to get some blinds that work well like this for our daughter’s bedroom, something that looks nice but that is easy to pull up and down. Blinds are actually one of the few things I am semi handy with around the house. But these look so much nicer then the crummy cheapo slat ones I always buy at Home Depot. I may have to check these out. Thanks! I would really like to get all honeycomb shades for the rooms in my house. These look nice. We need new blinds as ours were destroyed. 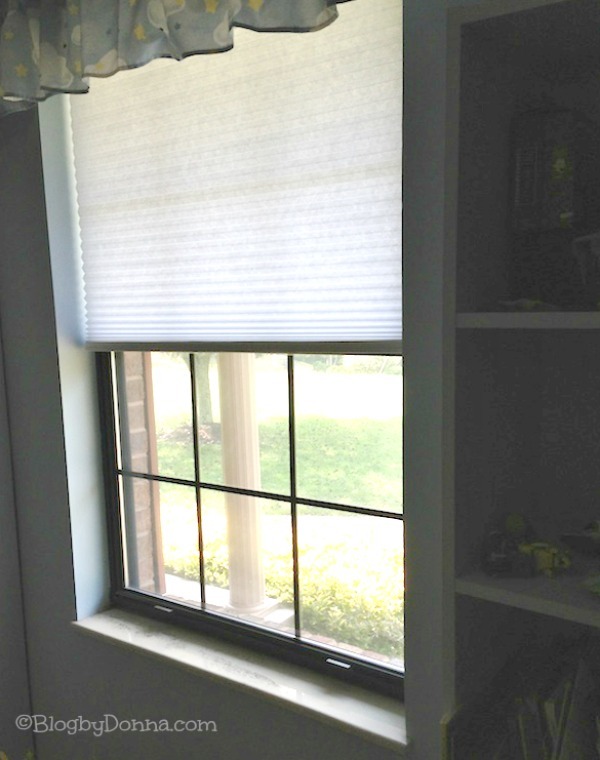 These look like something I could use, I always have the hardest time with blinds, especially getting the right size. Can u get these in Toronto Canada?